There's a new breed of justice in town, and he's ready to sniff out criminals - as soon as he stops chasing his own tail! 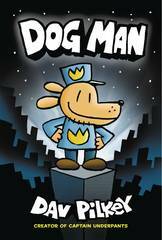 New from the creator of Captain Underpants, it's Dog Man, the crime-biting canine who is part dog, part man, and all hero! George and Harold have created a new hero who digs into deception, claws after crooks, and rolls over robbers. 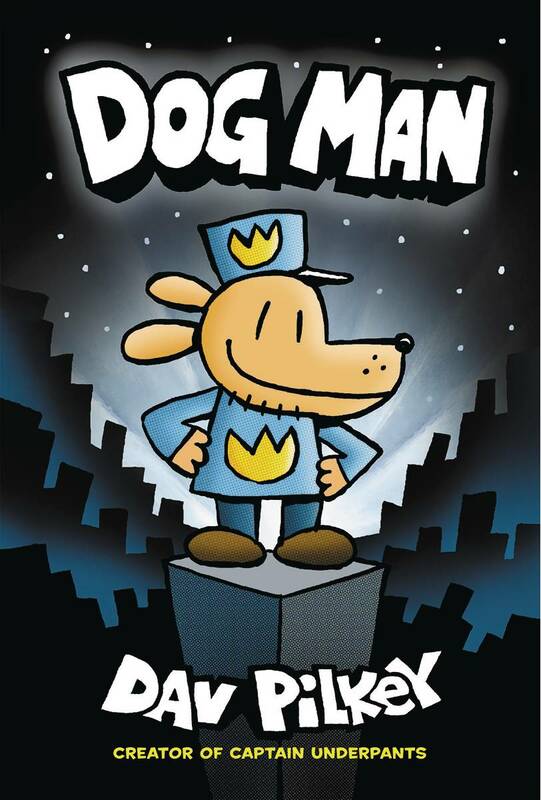 When Greg the police dog and his cop companion are injured on the job, a life-saving surgery changes the course of history, and Dog Man is born. With the head of a dog and the body of a human, this heroic hound has a real nose for justice. But can he resist the call of the wild to answer the call of duty?.